It’s Spring time in Colorado! 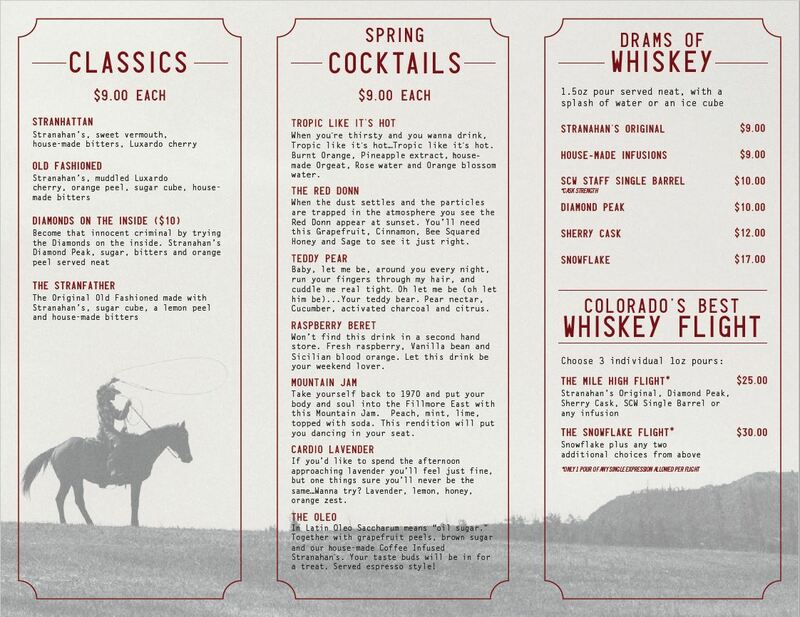 Our talented Mixologists have made an exceptional Spring Menu. If you like classic cocktails like the Old Fashioned or refreshing new cocktails with a twist like the Cardio Lavender, there is something for everyone! They’re seasonal which means they won’t be around all year!